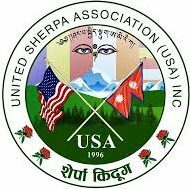 Publications & Articles – UNITED SHERPA ASSOCIATION (USA), INC.
We welcome any article or publication written on various subjects particularly on Sherpa history, culture, language, socio-economy, and other related topics from any writer or contributor. Our effort is to collect research based informative publications or articles with references in order to publish them on our website for all interested readers. The site visitors will be able to read your publications and articles online or download for offline reading. The media team may also publish your articles in our journals or newsletter with your prior consent. The contributors can attach their publications or articles as PDF or Word document to the Media team or to admin@sherpakyidug.org for publication. Interested readers can search any particular publication or article by category or published year or title.